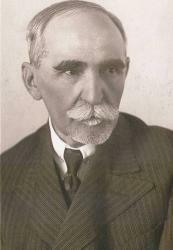 The Tekovian Museum was established in 1927 thanks to Joseph Necsey, who donated his extensive collection of archeological finds from the area of lower Pohronie, ethnographical articles of the northern part of the Tekovian district and the surroundings of Zvolen, paintings, family archives and some 1500 collections of books. The museum was originally on museum was the 2nd floor of the town hall, where the first curator - the professor of the Teacher`s college in Levice Mr. Eugen Kriek - installed the first exposition called Necsey`s room. This valuable collection has gradually extended due to donations from citizens and institutions. The main assets for the museum at that time were collections of The Piaristic Gymnasium and collections of a native Koloman Kittenberger, a famous traveler and adventurer. In 1954 the museum was moved to The Piaristic Cloister and later to the castle, The Captain`s house, where it still is today. In 1961 the first geographical exposition - later reinstalled and enlarged - the history of pharmacy. In 2001 after a huge reconstruction of the Captain`s house a permanent exposition of the History of Pharmacy, History of the Castle and The Gallery of Joseph Necsey was opened. Since 1987 the museum has housed various expositions of its own archive and of other national and foreign museums exhibits. The rich archive of the Tekovian Museum is based on about 80000 pieces from history, archeology, numismatics, ethnography, art and nature. 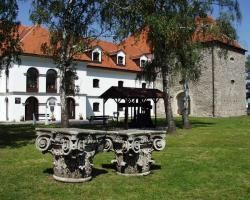 Since the 1970s, the museum has branched out with expositions in Brhlovce, Bohunice and Zeliezovce. Mo-Fri 15,30 p.m. - 7,00 a.m.